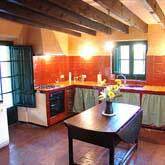 Can Ramon del Primo is an old Catalan country house built in 1768. Recently, it has undergone restoration works, carried out respecting the style and the features of the time in which it was originally built. 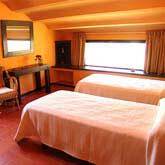 Two large terraces with wonderful views of the region; a roof where the guests may enjoy their meals while staring at the beauty of the plains of the Alt Empordà and the 1600 square meter garden of Can Ramon del Primo. 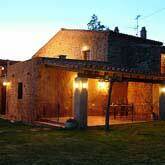 Can Ramon del Primo is an independent rural accommodation, which means that the whole house is rented. This two-floor country house is able to hold as many as seven people, thanks to four double bedrooms, all of them with delightful views to the outside.